See below for our new Weed of the Week series. 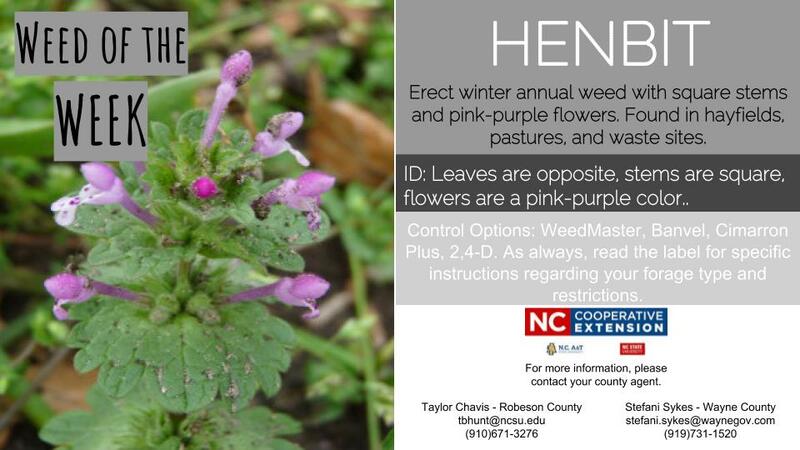 Our first weed is a winter annual we are all too familiar with–henbit. Disclaimer: The use of brand names and any mention or listing of commercial products or services in this article does not imply endorsement by North Carolina State University nor discrimination against similar products or services not mentioned.